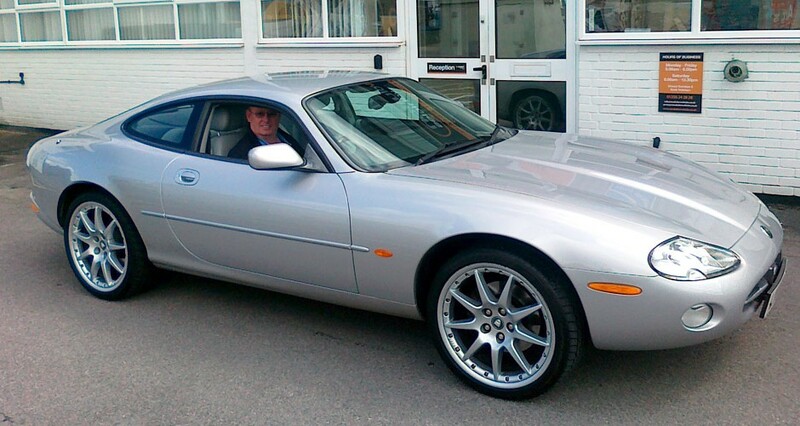 Recently we collected a still beautiful 2003 Jaguar XK8 for MOT but it failed on a broken front spring – a common fault nowadays. We worked out a quote, obtained authority to proceed and went to order the spring from Jaguar. A chirpy character called Phil then phoned back from their Parts department and advised us that we’d somehow been misinformed by a colleague, that the springs only came in pairs and just to top things off nicely, a pair were going to be £357 +VAT, not the £151 we had advised the owner of in all good faith only hours earlier. A true PR disaster, and guaranteed that we’d come out of the mess looking like the bad guys. His worst fears about garages all being the same were about to be confirmed – again! After telling Phil how impressed we were and how utterly thrilled he’d be, we sat down and thought hard about how to resolve the matter without further financial bloodshed. Long story short, we sourced a single, correct, genuine new Jaguar spring (there are many variations for this model) from one of our contacts we used when working on a couple of 1960s Jaguar E-Types a year or so ago – 45 year old cars where nearly every parts request is either a drama or an impossibility – and for less than the Jaguar dealer originally quoted. So rather than increase the bill by a totally unwarranted £240 we were able to reduce it – maybe that’s partly why he looks so happy in the picture! Once again thank you for demonstrating your initiative and resolution towards securing a customer friendly solution.